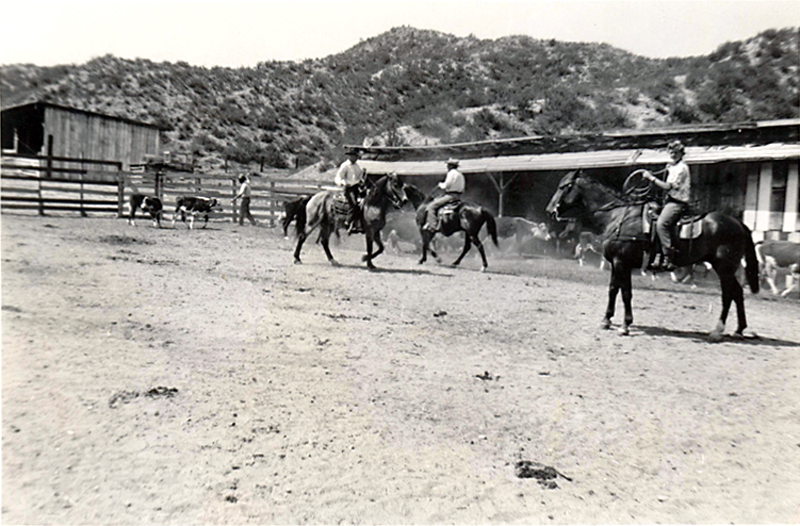 Young Harry Carey Jr. (Dobe) at right, riding and roping cattle at the Carey Ranch in Saugus. Undated photograph. DC3001: 9600 dpi jpeg from original print courtesy of Harry Carey Jr.